Simple and powerful APIs, ready to use. 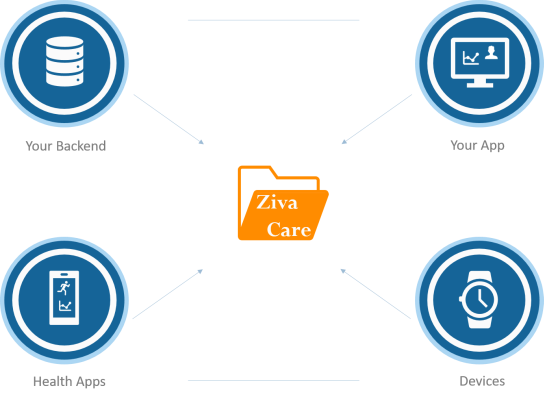 ZivaCare Connect lets users to connect any data source with the application through a single authentication point. Different taxonomies from different providers are unified. Compliant with EU and HIPAA regulations. Create applications that retrieve data from a variety of data sources and enables users to share that data with the applications of their choice. This data can be anything from: activity data recorded by a pedometer, a blood pressure measurement captured by an individual, or a medical record from a hospital.